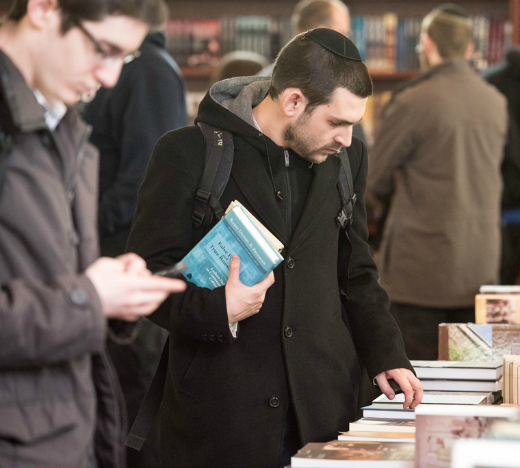 Every year, Yeshiva University students devote countless hours to organizing the Seforim Sale, which makes more than 10,000 titles in Jewish books and music available for purchase in one place and draws crowds from all over the country. But what goes into a successful Sale, and how are students able to manage every aspect of a large-scale business operation? This video takes you behind the scenes of the 2016 Seforim Sale for an inside look at how it all comes together. The Seforim Sale runs through February 28. Click here for a complete listing of dates and times, to purchase gift certificates or to view the online catalog.